DECEIVINGLY SPACIOUS! Bairstow Eves are delighted to welcome this fantastic opportunity for families and first time buyers to acquire this stunning semi detached corner house to the market. The property is a must view to appreciate the size of the property throughout due to the unique shape. The property comprises an entrance hall the gives access to a large living room with french doors opening up onto the patio area and garden. The hall also gives access to the spacious and modern kitchen diner and the downstairs w/c. The first floor benefits from three double bedrooms with the master bedroom benefitting from an en-suite shower room. 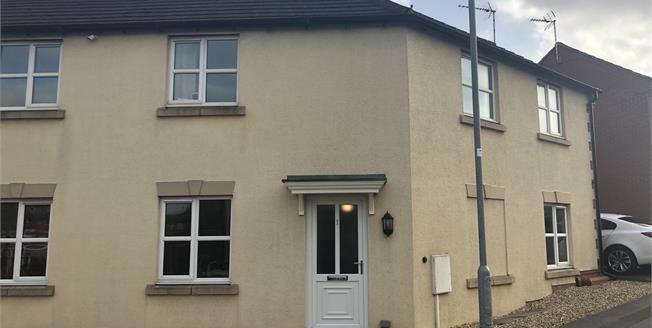 Additionally the property has gas central heating, double glazed windows throughout, off road parking, single garage and enclosed rear garden. Viewings are strongly recommended so please call the office for viewing arrangements.